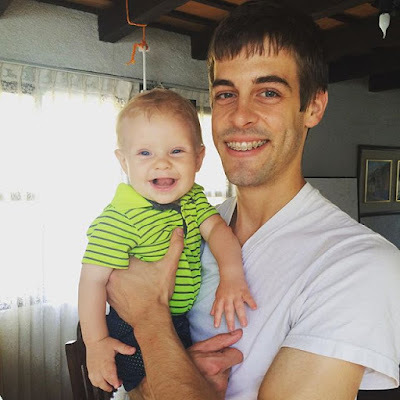 Can you believe it has already been eight months since Jill and Derick Dillard welcomed their first child? Israel, nicknamed "Baby Dilly" by his family, weighed a whopping 9 lbs 10 oz at birth and hasn't stopped growing since. Love all the baby updates, they change so quickly I hope Anna can enjoy her babies and wishing her lots of good luck for the future and hoping that a good wholesome companion comes into life to share the good times which I am sure will happen and so she can move on. Omg!!! He's so big AND cute!!! He has grown so fast, I am so glad we will get to see him in the specials, still wishing they would bring 19 Kids back though, have written to TLC about it a lot, miss you guys. He's adorable! Love the whole Duggar Family. A wholesome, all American family. We need to all strive to be as good as we can be, but understand we are all human and make mistakes. May God bless you all on this wonderful Christmas Season. Speaking as someone who was molested at the age of 15, 45 years ago and it is still haunting me I don't call it a mistake it is a crime. I can't bear to look at Josh so I fo one am glad he will not be on the new show. He definitely looks like his uncle! How precious!!!! Happy bollidays from our family to yours and god bless! you can tell israel & justin are related for sure! He sure looks like his mama. Babies grow So fast!! Cherish every minute! Hoping your families have a Merry Christmas!! Wow! Time sure does fly!! It seems like just yesterday they where posting pictures of Jill VERY pregnant with Israel and now he's eight months old!?! He sure is a cutie pie!! I LOVE the picture of him they put on the header!! Too cute. Israel is adorable. He looks a lot like his grandma Dillard. Papa should be Jim Bob! Not Derrick. Derrick is daddy. Derrick can be called whatever he wants as he is the father he can decide. Happy birthday, he is so cute. Praying for your safety, while your away from the states. God bless. I can't believe he's so big and grown up already! That's crazy! Also that we are still calling him Dilly. That's sort of hilarious. He's a big boy now! What a little cutie! I can't believe how big Israel has gotten and he always looks so happy! What a blessing! Time waits for no one he's growing up so fast. May God continue to bless him. Israel is a real cutie. He sure is smilely. It looks like he is wearing the same shirt in both pictures. Looks like Justin is there visiiting? They sure get to see family often for living so far away. How do they keep up with homeschooling? The average normal family couldn't afford time or money to travel like the Duggars do. The baby is so cute. Why does dad look so different though? Awww SO SWEET! Israel has grown so much in the past 8 months! He looks JUST like his mama...SUCH A CUTIE! 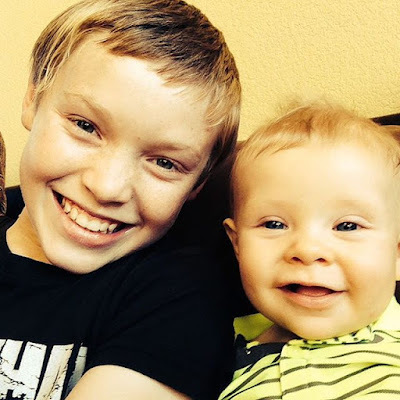 May God bless you and your little guy and any others to come! :) I love you all so much and I send my greetings! I guess they call him both. There boy cute names to go with an adorable n cute baby . Can't wait for the season premiere !!! So EXCITED !!!! So cute... he looks like dad... may God bless you all... love you guys! @Sharondoss1961 Papa is a form of endearment in the Spanish culture. I'm sure that is why he is called "Papa." Besides, what difference does it really make what he calls Father is...that is what matters. Yes! We CAN believe he is 8 months old, since we are given consistent updates! If I remember isn't the average age difference between the Duggar children 14 months?? So curious to know if Jill will take after her mama. But let her enjoy baby Dilly until then! :) my 2nd will be about 14 months younger than my firstborn. I'm not sure who Israel resembles because Jill and Derrick were "mathed-up" so well. Justin is turning into a handsome young man. Are they back in the states again? Soooo so CUTE! Great pics! I think Papa is pronounced "Poppa", not "Pappaw". I think someone posted that Jim Bob should be called Papa. Pappaw would be for a grandfather, but Papa, or Poppa, for the father. What a cute baby. He looks just like Duggar babies. Can't get over the transformation in Derick's face. I didn't know orthodontia could change a face that much. He almost looks like a different person. Did he have surgery of any kind? "Papa" then he should be called Papa. The other grandkids call Jim Bob "Grandpa", not Papa, so whatever they chose, it should be their choice. They are his parents. I am in love!! What a cute little baby!